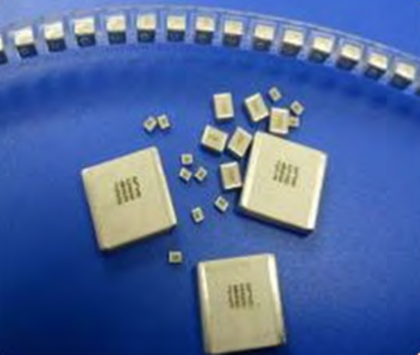 High Q MLCC provides excellent low loss performance in below 4GHz. The size is from 1414 to 9694 with various capacitance and voltage rating. DC blocking, By-pass, Coupling, etc.